Reduce the time it takes to get a Prior Authorization to 1 minute. Currently serving over 1000 locations. Up to 40% of scripts are not filled, prevent additional risk and fill patient prescriptions on site. Quickly dispense high quality, “unit of use” pharmaceuticals directly to the patient. We buy directly from generic manufacturers, providing you with excellent profit margins. Quality assured! QCP has had ZERO infractions from FDA inspections in the last decade. 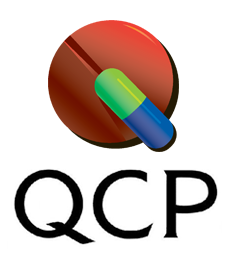 QCP has 40+ years of experience in pharmaceutical wholesale. We support Physician dispensing! We support PRI, the lobbying group for 35 State Medical Associations. "QCP's Point-of-Care Dispensing model contributed greatly to our MSO's ability to increase patient prescription compliance to more than 96%, and generic utlization to more than 90%, keeping our patients well, and lowering our price points. As a result of this, our ACO allowed us to manage twice as many patients for them in 2016 than we had in 2015. As a result; I implemented QCP's in my new house Vida Medical Centers." "Implementing a combination of both dispensaries along with our existing clinical pharmacies, we were able to greatly improve medication access and convenience to our patients across the entire company while keeping operating costs down. The dispensaries also helped relieve the pharmacy of acute fills and a portion of maintenance refills. From a CMS quality perspective, there was a boost in HEDIS Star Rating measures related to medication adherence, especially if the health plan permits 90-day fills. We were also able to enhance our physicians formulary awareness to help our patients reduce their overall drug costs." 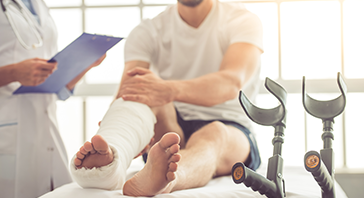 Creating a One-Stop Shop Experience with On-Demand Medicine Dispensing at time of exit, helps the patient to begin healing faster. 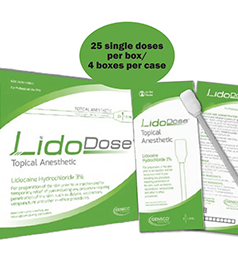 For preparation of the skin prior to an injection. For pain associated with any procedure requiring penetration of the skin, such as dialysis, vaccinations, venipuncture and other procedures.